Salesforce.com has lashed out $689m on social media marketing firm Buddy Media as part of its plan to work social media deeper into its platform. The purchase will be merged with social-media monitoring tools added with last year's acquisition of Radian6, messaging group Dimdim, and social platform Rypple, as well as with Salesforce.com's own Chatter platform. The combination will give the company the ability to devise social-media marketing campaigns on Buddy media, see how they do with Radian6, and foster itself as Facebook for suits. "Salesforce.com now has the number one players in social listening and marketing – Radian6 and Buddy Media," said Marc Benioff, CEO of Salesforce in a statement. "With CMOs surpassing CIOs in spend on technology within the next five years, our Marketing Cloud leadership will allow us to capitalize on this massive opportunity." Salesforce isn't alone in seeing the benefits of a social-media overlay to its business. Last month, Oracle bought social-media marketing company Vitrue for an undisclosed sum to boost its credentials in the area, and other companies are following suit. "Social media has caused the biggest transformation in marketing since the Mad Men era, causing CMOs to completely re-think their strategies," said Marcel LeBrun, VP of Salesforce Radian6. "By bringing together market leaders Radian6 and Buddy Media, we are doubling down on the Salesforce Marketing Cloud to provide CMOs with the ability to manage the entire social marketing lifecycle." 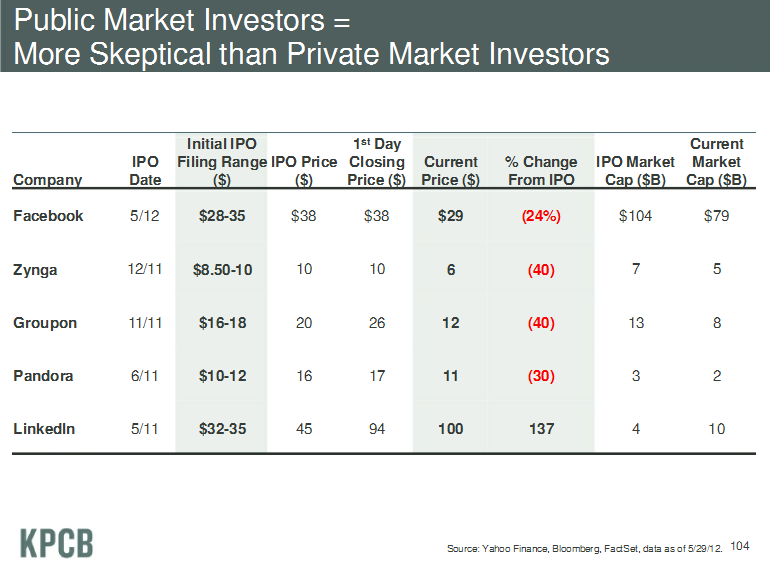 In her state-of-the-internet report last week, IPO doyenne Mary Meeker pointed out that of the recent spate of social networking IPOs, the only one that has been successful has a business focus. LinkedIn has more than doubled its share price since its IPO last year, whereas Pandora and Zynga are down about a third on their IPO price, and Facebook's shares continue to plummet, dipping below $27 on Monday. While the social reach of companies such as Facebook can't be denied, there is a pricing disconnect between future potential and current performance. Meeker's firm did no investing with its billion-dollar startup fund in the last quarter in large part because of this disconnect, she said. Room for another ego at the top, Benioff?